A couple of people contacted me about the problem of the (lack of) credibility of government promises to cut the debt in the future. I didn’t give this issue enough space. This post should rectify that. There are good reasons for a government to intervene in the economy during hard times to play a stabilising role. In fact, I don’t know of a theory in which one can cut government spending and raise taxes during a recession and leave output and employment unaffected. 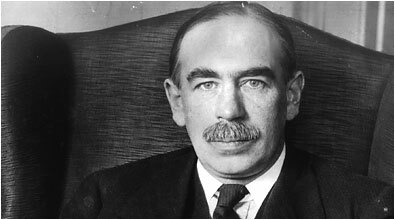 Keynes argued that market economies find it difficult to escape deep recessions and that monetary policy could only provide limited push in helping get the economy back on track. For Keynesian economists, a fiscal stimulus in the form of either higher government spending or lower taxes is a good idea during a bad recession. Actually, they’d probably say it was more than just a good idea. In fact, until the whole ‘Greek debacle’ the US and UK governments and even the IMF at times suggested that governments should play a role in recovery. So lets just accept for the moment that there are good reasons for the government to run a budget deficit during a recession to help smooth out the dip. Then why is it that all we’re hearing at the moment is ‘Cut Cut Cut’? Why the switch from the presumption in favour of fiscal stabilisation to ‘austerity is the ONLY way’? Especially when we hear institutions like the Office for Budget Responsibility (OBR) saying that the austerity measures in the emergency budget last year would increase the risk of a double dip recession. To understand this we need to explore the concept of deficit bias. This discussion will also illuminate the motivation for creating the Office for Budget Responsibility and why both Gordon Brown and the coalition set themselves some rules over fiscal policy. Deficit bias is basically the idea that it is difficult and painful for the government to reduce debt levels but very easy for them to say that they will in the future. In a recession a government should want to run a budget deficit to help buffer the economy against the storm. Then when times are ‘good’, the government should act to reduce the deficit. The stabilising has been done then. However, in these good times, tax rises and spending cuts are going to remain unpopular. Politicians don’t want to turn round with a smile to their voters and say “Right now everyone, its time for those taxes rises!”. Much easier to just ignore the whole debt problem. This leads to rising debt to GDP ratios. We observe this in reality. For example, among OECD countries levels of debt relative to GDP roughly doubled in the 30 years leading up to the recession for no good reason. From my first post, you should (hopefully!) know that very high debt levels are to be avoided. There are costs. Investors start getting hot under the collar. This is why there are calls for austerity measures now. If the government could promise to put in place measures to bring debt levels down once the economy is out of the woods then we wouldn’t see the same budget as was presented earlier this year. The government faces a commitment problem. It would be best for everyone if Os-terity Osborne committed to reducing the deficit in the future. But this commitment isn’t deemed credible. So, they say, we must reduce the deficit now. In the middle of the deepest recession since the 1930s. Brilliant. We need someway of tying the government’s hands so they do actually cut the debt in the future, thereby allowing them to help us out now. Luckily for us there are ways to mitigate this commitment problem, allowing for less cut throat austerity measures right now. I believe that the UK government needs to slow down in its mission to reduce the deficit. I am basically calling for the government to put its hands up and say ‘look guys, I’m going to mainly cut later….only a bit now’. Setting up the OBR and putting in place the new fiscal rules helps the UK government solve its commitment problem, making a promise to get the debt under control when things get less crazy more believable. The OBR is an independent forecasting body, giving predictions of future growth and employment, assessing the plausibility of the figures which lie behind the government’s plans and evaluating the likelihood of the government meeting its self-imposed targets. Although not under its mandate at the moment, there have been calls for the OBR to also comment on the desirability of plans for deficit reduction and the like. Setting the OBR up in itself sends quite a clear message to investors that the government is serious about fiscal discipline. I mean, its called the Office for Budget Responsibility! The government could use the fact that the OBR forecasts and figures are independently calculated to build a bit of wiggle room into policy. 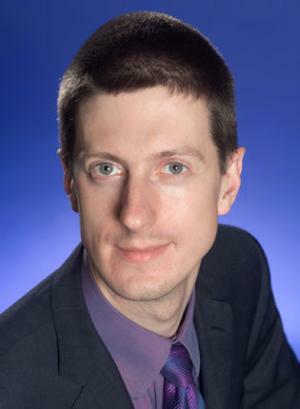 Austerity measures could be staggered and implemented conditional on the speed of recovery and there could be no worry that figures were cooked to let the government off the hook. Further, the government set itself two fiscal targets when it came into power: (1) to balance the budget 5 years ahead and (2) to have net debt falling by 2015-16. As we saw with the last Labour government, the fact that rules are stated doesn’t mean that they will be followed (that credibility problem again) but the fact that the OBR independently assesses the likelihood of these targets being reached reduces that risk. Therefore, it seems to me a little odd that we are following the ‘Only-Way-Is-Austerity’ strategy at the same time as setting up an independent body that should allow us to slow the pace of cuts. Let me ask you now, have I missed something? !